This innovation allows a wireless signal to simultaneously start two iElectribe v1.5 and/or iMS20 v1.5 apps on two separate iPads! Now you can perform with a friend or expand your iPad ensemble by using two units at once, expanding the ways you can create and enjoy musical performances. 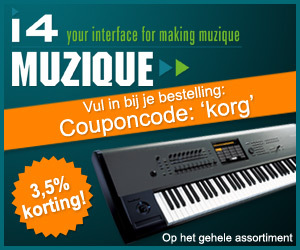 Mix and match Korg iMS20 v1.5 and Korg Electribe V1.5 apps in new dynamic ways. The MIDI support implemented in the previous version is now much more advanced. Now, the Korg iElectribe v1.5 supports “Korg Native Mode.” Simply connecting a Korg nanoPAD2 or nanoKONTROL2 to your iPad will automatically complete all MIDI controller assignments. Korg iElectribe version 1.5 now features the same SoundCloud feature that has received rave reviews from iMS-20 users. Exported audio data can be easily uploaded and shared online at the SoundCloud site while using either app. iElectribe Version 1.2 adds MIDI control capabilities by using the Apple Core MIDI features found in iOS 4.2, via the Apple iPad Camera Connection Kit. This feature provides the ability to transfer audio from the iELECTRIBE app into a MAC or PC via iTunes, using CD quality wav files. This feature ultimately allows you to use iELECTRIBE patterns and performances in your DAW or video editing software.